Okay, so we’re all disappointed that the Pueblo Expo got cancelled. So, we’ve come up with a creative solution! We are hosting the “Be Creative Expo” Sunday April 23rd 1:00-4:00, with 4 mini classes, demo style. 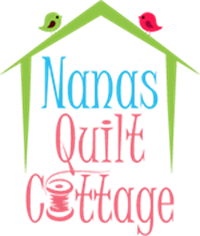 There will be samples for sale, refreshments, a special outdoor quilt display, flower demo, and special buys all afternoon. Reserve your bag for $20.00, which includes patterns, materials, and party favors, a $20.00 value. In your bag there will be a challenge fabric; the details will be revealed at the event. Only the first 25 paid guests will get the Goodie bag, others are welcome to come for the experience. Let’s celebrate instead of weeping! Remember Mother’s Day is right around the corner, and this will be a great opportunity to find something special for yours.